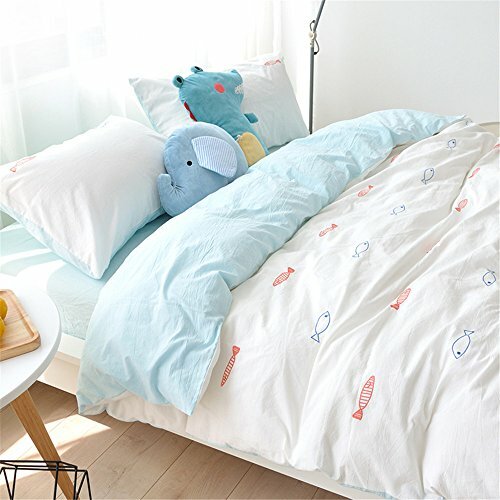 ​You'll enjoy adding a nautical touch to your bedroom with these beautiful nautical duvet covers. A duvet cover typically doesn't come with the filling (though occasionally it will), so you have to add your own duvet filling, or an old comforter or blanket. Duvet covers are easy to care for, since you only have to wash the cover itself. These nautical designs are fabulous and fun! 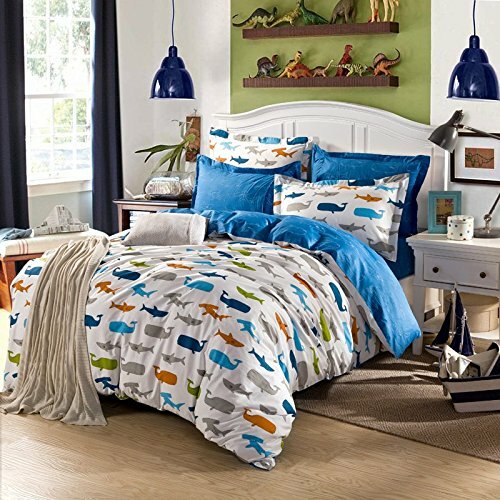 ​These colorful whales will brighten up any adult, teen or child's bedroom. You can add accent pillows, rugs, wall decor, and other accessories, and you'll have a fresh, fun bedroom design that everyone in the family can enjoy. You get the duvet cover, a sheet, and two pillow cases in the set. Nautical design might include lighthouses, sea life, ship parts, ocean designs, stripes, and more. ​ This nautical bedding is a great way to add a touch of the sea to your bedroom. You can use your own comforters or blankets at home to fill your duvet covers, or use one of these fresh, new insterts!